How funny that both the stars of dark ballet thriller Black Swan, Natalie Portman and Mila Kunis, have each starred in similar films this year. The former Oscar-winner appeared earlier this year with Ashton Kutcher in No Strings Attached, whilst the latter joins Justin Timberlake for the spookily similar concept Friends with Benefits. Only time will tell if Justin Timberlake can repeat his star acting turn from The Social Network, or whether the pop star is best sticking to music. Certainly his dating credentials and the on screen couple's supposed chemistry sounds like it'll make for some interesting viewing. 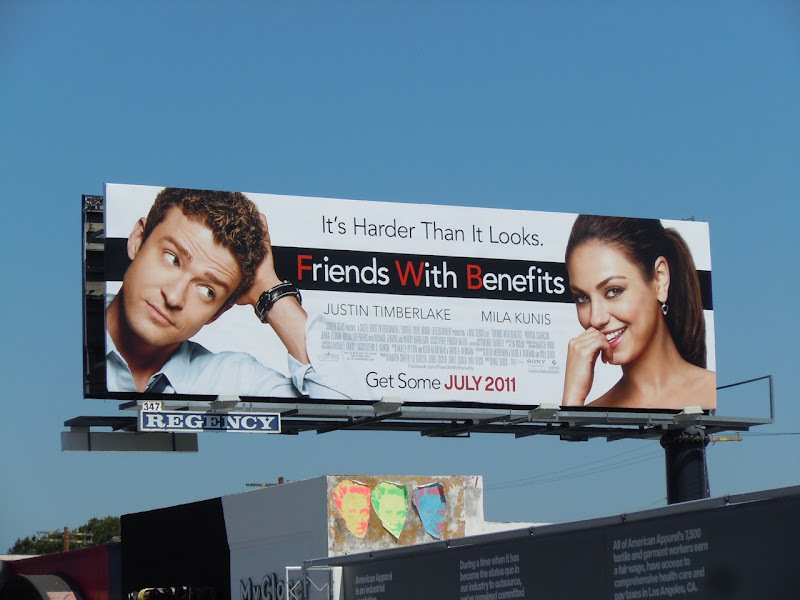 These two billboard formats for the new romantic comedy were snapped along Highland Avenue and Melrose Avenue and on June 18, 2011.